"For me, the protection of planet Earth, the survival of all species and sustainability of our ecosystems is more than a mission. It is my religion and my dharma." "The Industrial Revolution was also a transformation, but it wasn't a guided transformation from a centralized policy perspective. This is a centralized transformation that is taking place ... it's a very, very different transformation and one that is going to make the life of everyone on the planet very different." "It seems to me that the widespread acceptance of the global warming dogma has become one of the main, most costly and most undemocratic public policy mistakes in generations. The previous one was communism." One result of the Climategate scandal has been to make information and viewpoints skeptical of man-made climate Armageddon more readily available to the general public, through books and articles published in the main stream press. Here are a few sources of information presenting the case that there is far from sufficient data available to predict a coming worldwide disaster. What types of catastrophes do the alarmists predict will be caused by global warming? Here is a site maintained by John Brignell, that provides links to articles discussing the dire consequences. Although the list does not appear to be currently updated, it is still quite fascinating. Richard Lindzen, an atmospheric physicist at MIT, makes a calm and well reasoned presentation concerning the groups involved in the climate debate, in this short five minute clip. Anthony Watts presents a 53 minute talk that discusses ten issues that should be considered when evaluating the claims concerning Anthropogenic Global Warming. Here is another longer (49 minute) video by a former NOAA meteorologist, David Dilley, that discusses the Earth's historical temperature cycles which help to more properly interpret the changes occurring during the 20th and 21st centuries. This is a five minute presentation by Patrick Moore, a co-founder of the environmentalist group Greenpeace. who has since left and distanced himself from the group due to their taking "a sharp turn to the political left," evolving "into an organization of extremism and politically motivated agendas" and abandoning "science and logic in favor of emotion and sensationalism." In this video, Moore discusses how the earth's climate has and always will be in a constant state of change independent of human activity, while pointing out that climate science is definitely not settled. Here is a very good presentation by Micheal Crichton, where he points out how the scientific method becomes perverted once it becomes politicized. including a section that provides rebuttals to a number of the most common responses in support of Anthropogenic Global Warming. And here is a link to a very interesting 2015 article written by David Siegel, a self described vegan, Democrat, and firm believer in Al Gore's message, who was challenged by a friend to question his assumptions on climate change. Being an honest investigator, he describes the evidence he confronted which modified his opinion on the subject. "No genuine scientist would ever ridicule skepticism. It is one of the defining features of an inquisitive mind. No genuine scientist would use the word 'denier' to describe another scientist. No genuine scientist would claim a compute model is able to predict future climates. QED"
Anthony Watts is a former meteorologist who runs the Watts Up With That? website, reporting on climate issues from a skeptic's viewpoint. Watts also provides links to a variety of other pro- and skeptic sites discussing anthropogenic global warming. JoNova is a freelance science writer who maintains a website reporting on current events in the climate science field. 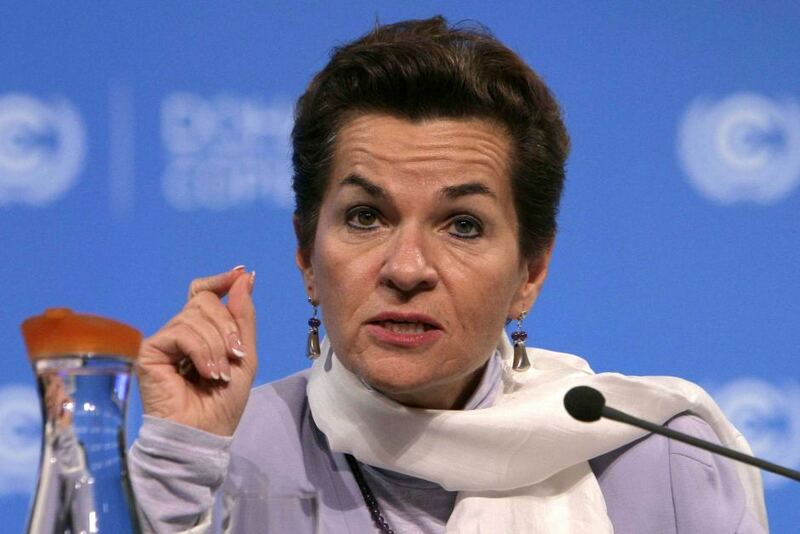 She has summarized many climate facts in two short pamphlets titled The Skeptics Handbook, I and II. In an article on the Forbes website titled Denying the Catastrophe: The Science of the Climate Skeptic's Position, Warren Meyer provides a brief overview of some of the sound reasons for dismissing alarmist claims over climate change. This article is a summary of a more detailed video presentation available at his Climate Skeptic website. In a talk entitled Climate Models Go Cold, reproduced in the Financial Post, engineer David Evans explains how the original idea that carbon dioxide production was predominantly responsible for the earth's global warming was based upon a climate model hypothesis formulated in the 1960s, which by the mid 1990s had been completely disproved by three decades of temperature measurements. The Heartland Institute has published an updated, peer-reviewed report on the hard science behind the climate change alarmists' claims. With a proper historical perspective, there is absolutely nothing out of the ordinary regarding our current climate variability and trends. The earth has been much warmer in the past, and while we experienced a mild late-20th century warming followed by the much under-reported 21st century cooling trend, there is nothing here that does not fit into the historical validated variability for climate. There is absolutely no correlation between CO2 levels and temperature. 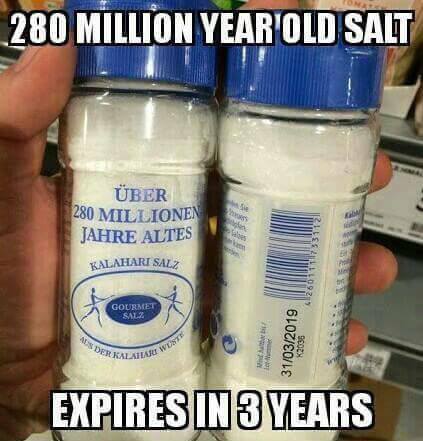 The earth is a self-balancing system that sequesters CO2 in the oceans (among other processes) and that is why there has never been a run-away greenhouse effect in the history of the earth, despite much higher CO2 levels than we currently experience. Historically, mankind has prospered when temperatures were warmer than the current levels. There is still a great deal about earth dynamics that we do not fully understand or monitor, but which likely plays a huge role in determining earth's climate. 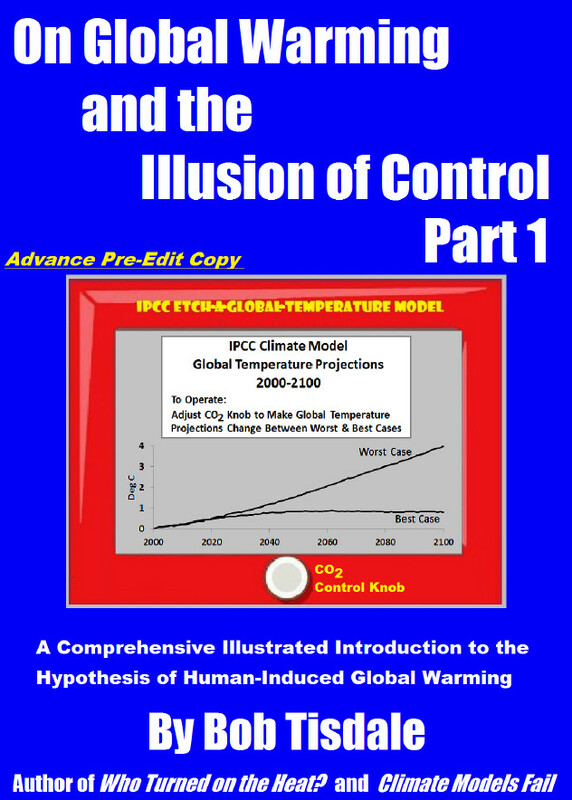 The computerized climate models used to "predict" global warming ignore huge amounts of known data as well as all the dynamic factors for which there is little data available, and therefore fail to come close to being able to predict the earth's climate; something easily demonstrated by the fact that they cannot properly model well known historical results when given accurate historical data. There is a lot more to this book and it is a fascinating read just for the education that you will gain into the current state of sciences relating to the earth, atmosphere, oceans, glaciers and sun. But the important issue here is that no one who has not read this book and is ready to address the issues it raises, should be making any pronouncements regarding climate change — let alone passing legislation that will affect the lives of us all. Read it, and then write to the President and your congressional representatives and demand that they too read this book and demonstrate a real knowledge of the science behind global warming before casting an uninformed vote on this issue. Of course, be prepared for them to ignore this request, because the real political goal behind the IPCC and the push to regulate CO2 has nothing to do with scientifically-based environmental concerns, and everything to do with the further consolidation of power in the hands of governments seeking nothing less than total control over every aspect of their subjects' lives. Bob Tisdale has published a free 733 page book which he has made available online in PDF format. In his own words, the book provides "A Comprehensive Illustrated Introduction to the Hypothesis of Human-Induced Global Warming." This is an excellent primer and reference book. Click on the link below to download a copy. 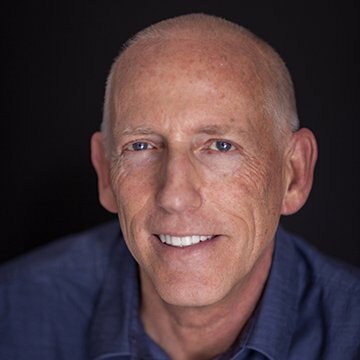 Scott Adams, the creator of the Dilbert comic strip, has penned an article where he points out a number of things that scientists who advocate the anthropogenic global warming viewpoint could do to convince skeptics of their position. Here is a quick summary of some of his more interesting points. Read the article for the details. Stop telling me the "models" (plural) are good. ... If climate science is relatively "settled," wouldn't we all use the same models and assumptions? Stop telling me the climate models are excellent at hindcasting, meaning they work when you look at history. That is also true of financial models, and we know financial models can NOT predict the future. Tell me what percentage of warming is caused by humans versus natural causes. ... [I]f you leave out the percentage caused by humans, I have to assume the omission is intentional. Skeptics produce charts of the earth's temperature going up and down for ages before humans were industrialized. If you can't explain-away that chart, I can't hear anything else you say. Stop telling me the arctic ice on one pole is decreasing if you are ignoring the increase on the other pole. When skeptics point out that the Earth has not warmed as predicted, don't change the subject to sea levels. That sounds fishy. If the real argument is about rate of change, stop telling me about record high temperatures as if they are proof of something. Stop pointing to record warmth in one place when we're also having record cold in others. How is one relevant and the other is not? When you claim the oceans have risen dramatically, you need to explain why insurance companies are ignoring this risk and why my local beaches look exactly the same to me. If you want me to believe warmer temperatures are bad, you need to produce a chart telling me how humankind thrived during various warmer and colder eras. Stop conflating the basic science and the measurements with the models. If skeptics make you retreat to Pascal's Wager as your main argument for aggressively responding the climate change, please understand that you lost the debate. 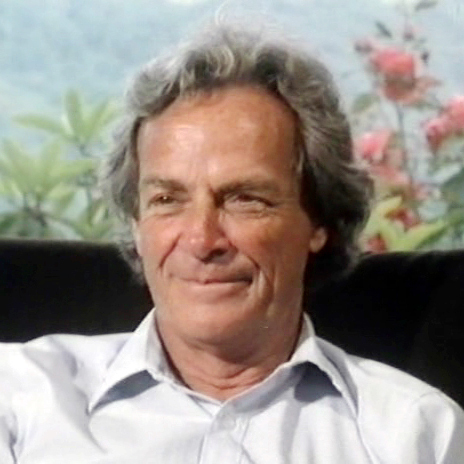 In 1974, the distinguished physicists and Nobel Prize winner, Richard Feynman, gave the commencement address to the graduates of Caltech, cautioning them about self-deception being one of the most serious ways to undermine scientific integrity. Here are a few excerpts from the speech. First, Feynman speaks about various pseudo-sciences and categorizes them as Cargo Cults. "In the South Seas there is a Cargo Cult of people. During the war they saw airplanes land with lots of good materials, and they want the same thing to happen now. So they've arranged to make things like runways, to put fires along the sides of the runways, to make a wooden hut for a man to sit in, with two wooden pieces on his head like headphones and bars of bamboo sticking out like antennas—he's the controller—and they wait for the airplanes to land. They're doing everything right. The form is perfect. It looks exactly the way it looked before. But it doesn't work. No airplanes land. So I call these things Cargo Cult Science, because they follow all the apparent precepts and forms of scientific investigation, but they're missing something essential, because the planes don't land." Why don't the South Sea natives—and the pseudo-scientists—recognize and acknowledge that their failure to produce results is a clear sign that something is wrong? Feynman argues that it arises from a lack of scientific integrity. "Now it behooves me, of course, to tell you what they're missing. [...] It's a kind of scientific integrity, a principle of scientific thought that corresponds to a kind of utter honesty—a kind of leaning over backwards. For example, if you're doing an experiment, you should report everything that you think might make it invalid—not only what you think is right about it: other causes that could possibly explain your results; and things you thought of that you've eliminated by some other experiment, and how they worked—to make sure the other fellow can tell they have been eliminated. "In summary, the idea is to try to give all of the information to help others to judge the value of your contribution; not just the information that leads to judgment in one particular direction or another." "The first principle is that you must not fool yourself—and you are the easiest person to fool. So you have to be very careful about that. After you've not fooled yourself, it's easy not to fool other scientists. You just have to be honest in a conventional way after that. "I would like to add something that's not essential to the science, but something I kind of believe, which is that you should not fool the layman when you’re talking as a scientist. [...] I'm talking about a specific, extra type of integrity that is not lying, but bending over backwards to show how you're maybe wrong, that you ought to do when acting as a scientist. And this is our responsibility as scientists, certainly to other scientists, and I think to laymen." Now, consider all of this in relation to how climate science is being handled by so many in the profession. The secrecy. The unwillingness to share raw data, let alone methodology. Making ex cathedra proclamations while denouncing all who disagree, and then claiming (falsely) that the "science is settled" without having even attempted to meet any of the criteria that Feynman discusses! Feynman was speaking in 1974, so the lack of scientific integrity has been a long standing problem. 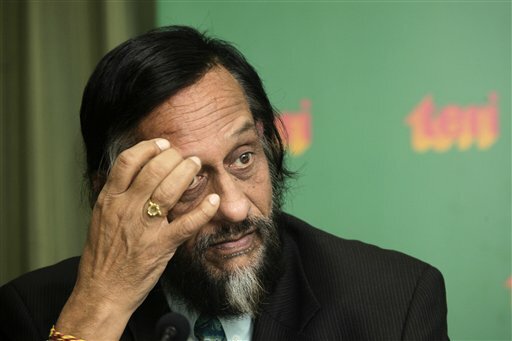 However, with the politicization of science as we see it in the climate arena, the abuses resulting from this failure are being magnified and the consequences to everyone are widespread and dire. "This is exactly how a geologist sees 'global warming'." In the spirit of "a picture is worth a thousand words," I thought that this image and comment did an excellent job of summarizing the skeptic's viewpoint on the issue of climate change. When viewed in the broadest perspective, it becomes clear that what we are observing today is nothing more than the natural dynamic nature of earth's ever-changing climate, subject to myriad factors. Yes, industrialization may play some role in affecting climate, but it is a minor component in relation to other factors such as the cyclic nature of the sun's output.